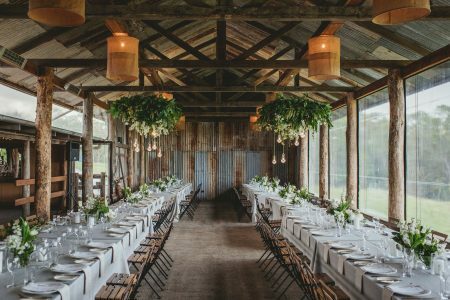 One of favourite places to be is the gorgeous rural property Yandina Station. 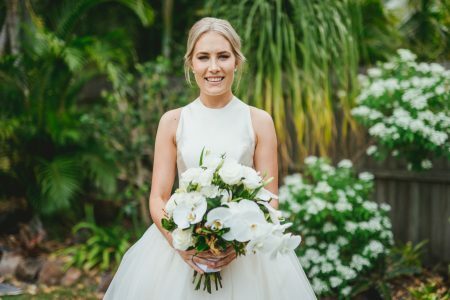 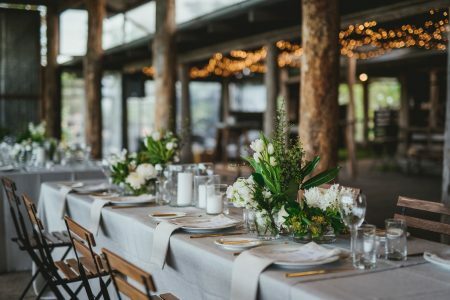 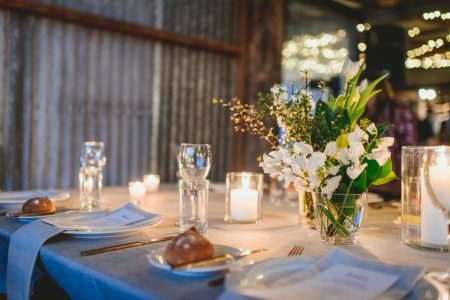 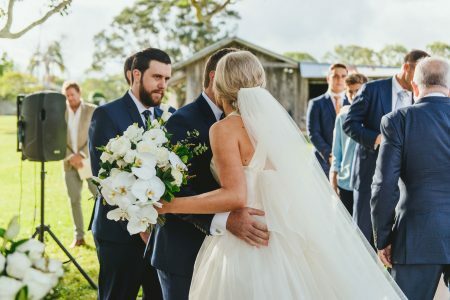 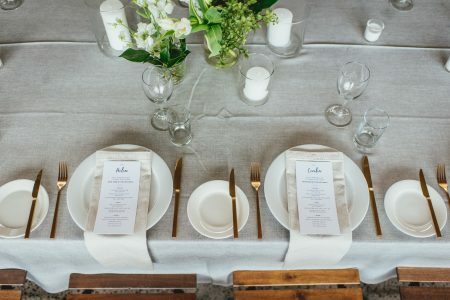 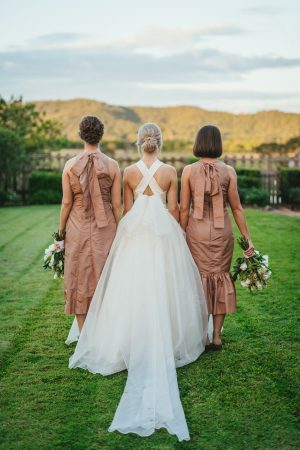 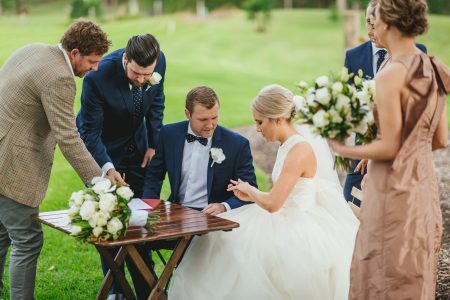 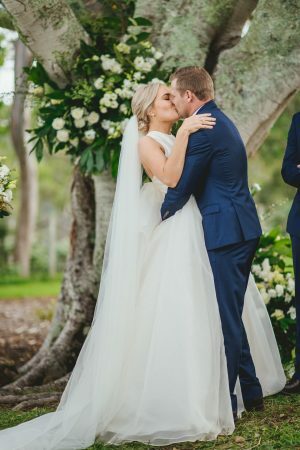 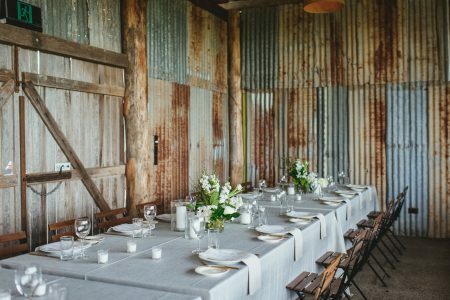 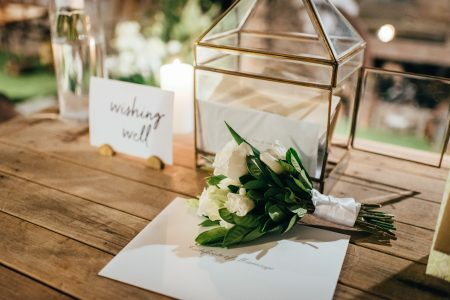 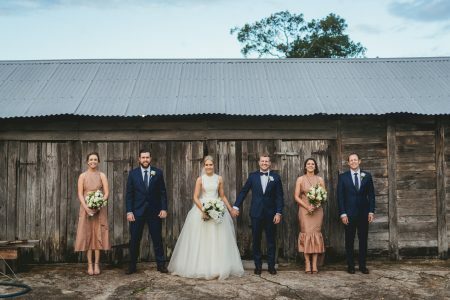 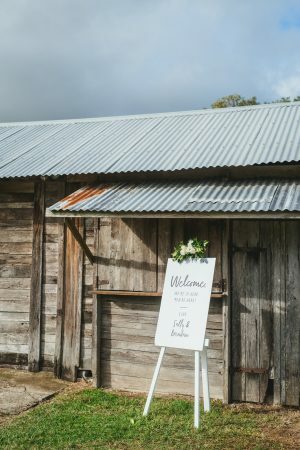 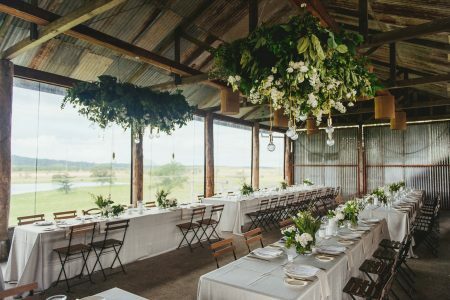 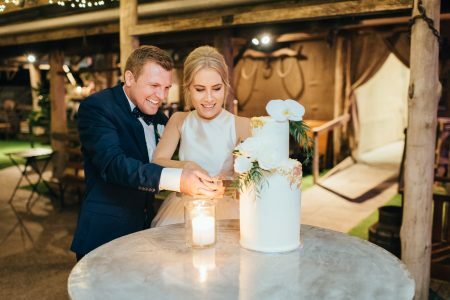 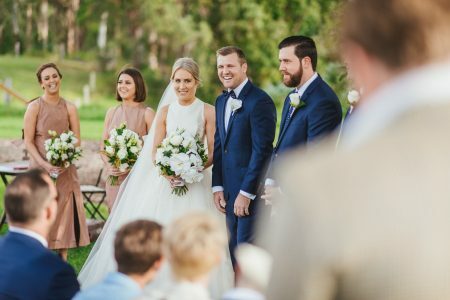 This stunning Sunshine Coast hinterland property stages beautiful weddings every week, and this particular one was certainly up there with divine style and sleek sophistication, plenty of glamorous styling details and featuring modern white on white wedding blooms. 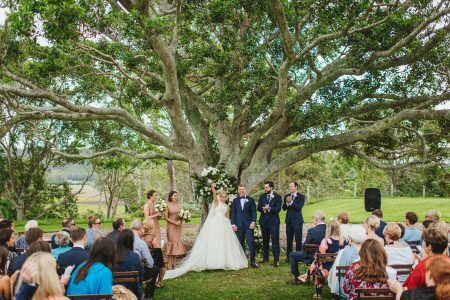 Sally and Brendan married under the grand old fig tree, and what a tree this is. 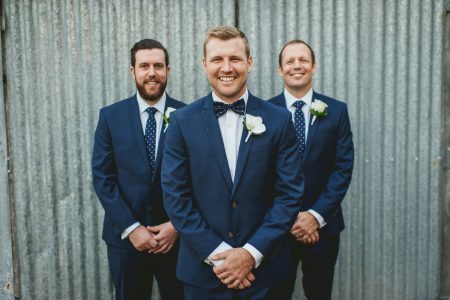 Commanding attention and providing plenty of attitude! 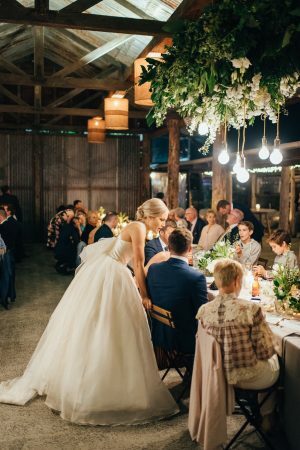 It’s the perfect space to say ‘I Do’ and we took the opportunity to add some floral feels to this garden beauty. 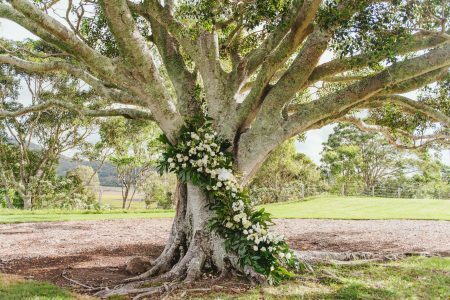 Our tree branch feature cacaded from below and meandered up to nestle in the branches above, lush darker green foliage and chic white blooms featured, and it added a little bit of WOW to the already beautifully manicured ceremony space. 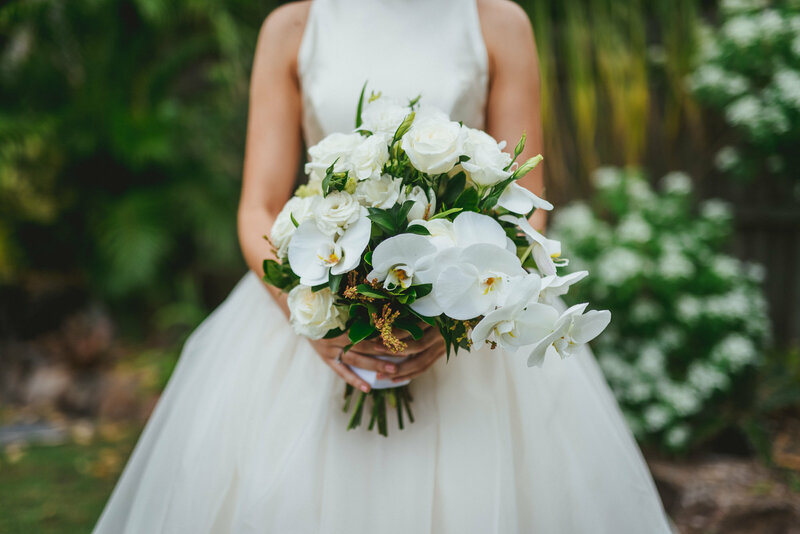 We adored working with these two, Sally’s vision of crisp white blooms and touches of darker green foliage started with her stunning bridal bouquet, and those divine phalaenopsis orchids. 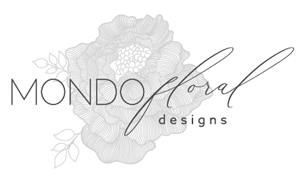 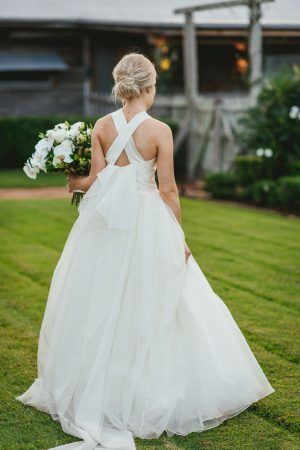 The perfect floral accessory for that amazing DARB gown. 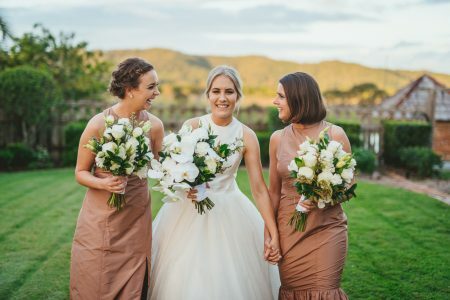 Sally’s bridesmaids carrying hand held longer stem designs of white feature blooms. 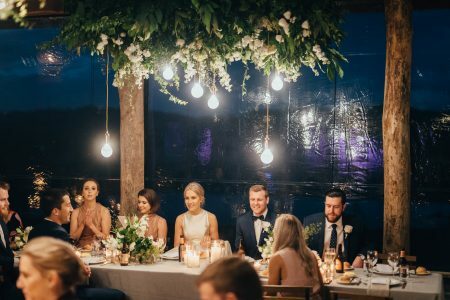 The sophisticated reception space featured beautiful to the floor linen and pretty modern lighting features provided by CL Weddings and Events. 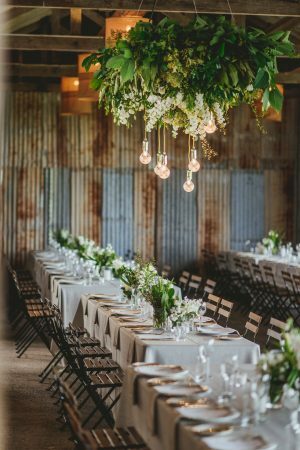 We created two larger hanging floral installations with beautiful white blooms and lush greenery, and the pendant lights were hung from within the stunning hanging structures. 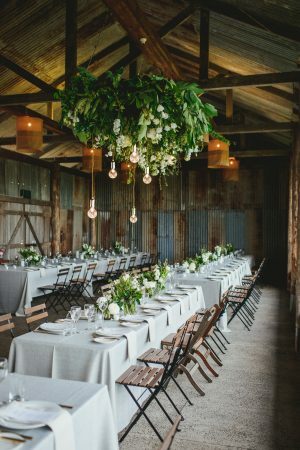 The gorgeous overhead floral features suspended from the ceiling and added to the modern styling of the reception. 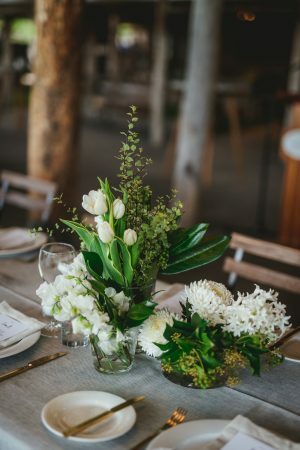 Clusters of contemporary glass vases with white blooms and greenery accents added soft floral touches to the gorgeous tables. 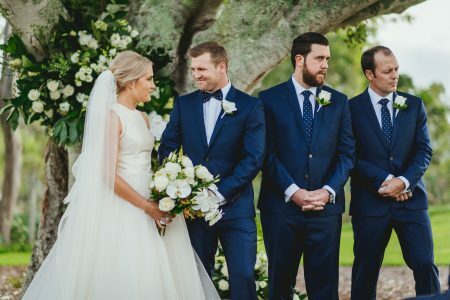 Oh it was soooo beautiful, and Sally and Brendan were equally as beautiful on the inside as they clearly are on the outside. 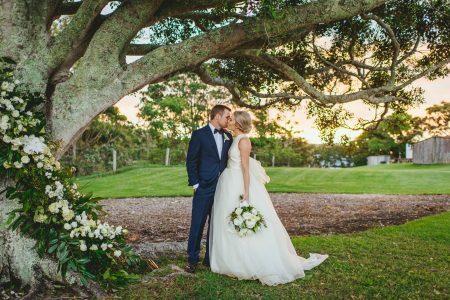 It was such a delight to be a part of their stunning wedding day at one of our favourite wedding venues.